More than 33, 000 square meters of grass fields surround the structure, and protected by the neighboring mountains it breathes a serene atmosphere which even more emphasizes its solemn and stately character. 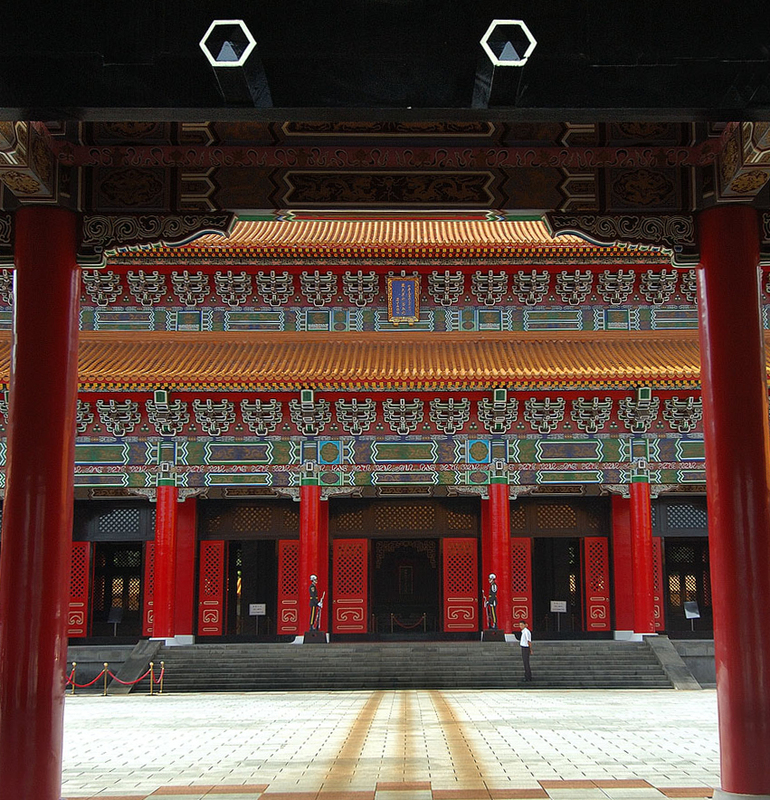 The 330,000 men who sacrificed their lives to the revolution before the establishment of the Republic of China and who fell during the Sino-Japanese war and the Chinese Civil war are worshipped here. Plates of these brave and loyal martyrs have been inserted into the four walls of the main building in testimony of their heroic deeds. 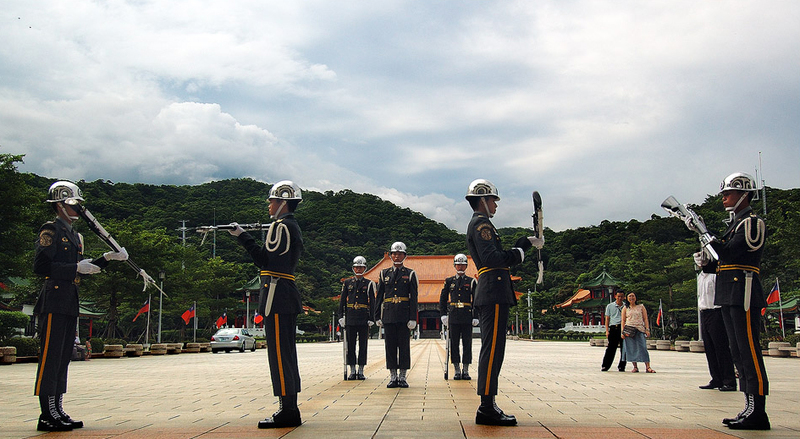 Each spring and autumn, the president of Taiwan leads both civil and military officials in a public worship, while leaders from Taiwan's befriended countries come and pay floral tribute. Each year in October, groups of overseas Chinese also come to visit the site. Worth mentioning is the military police officers who guard the main gate, and who have been rigidly trained to stand like expressionless statues. Tourists alike are amazed at this display of composure and flock to see the ceremonial changing of the guards. 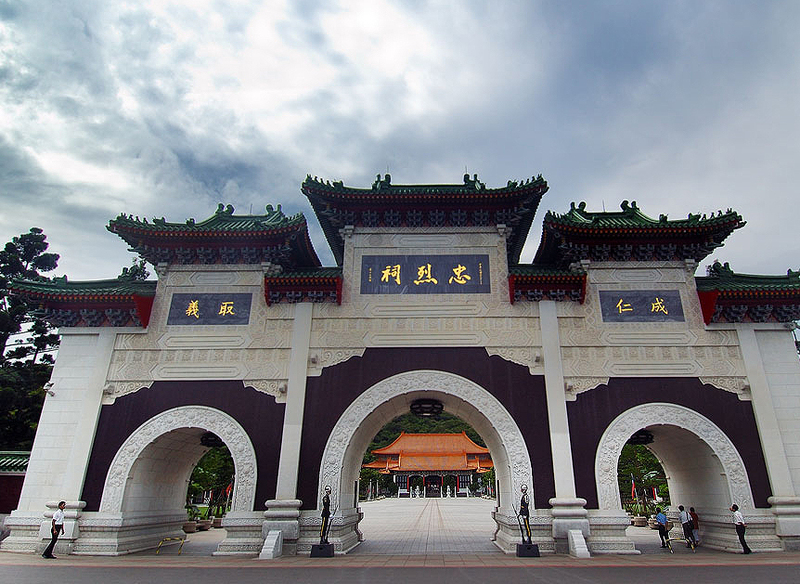 Take the THSR or train to Taipei Station, transfer Taipei City Bus (No. 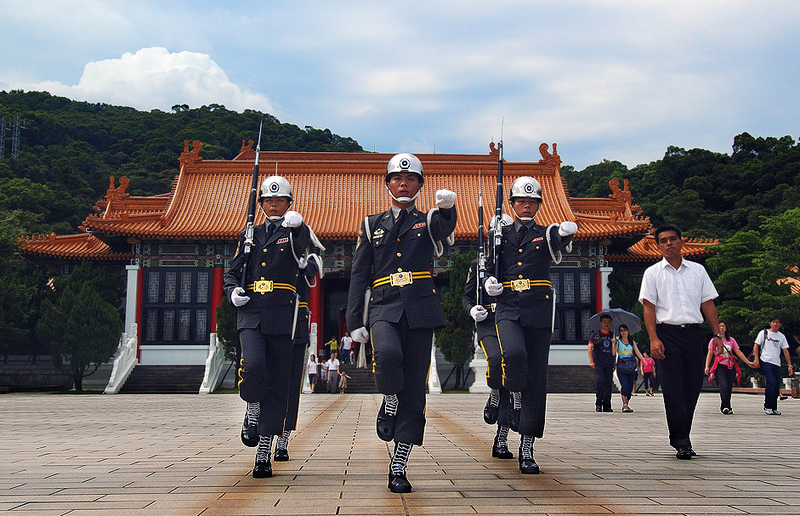 247, 287) to Taipei Martyrs' Shrine Stop.